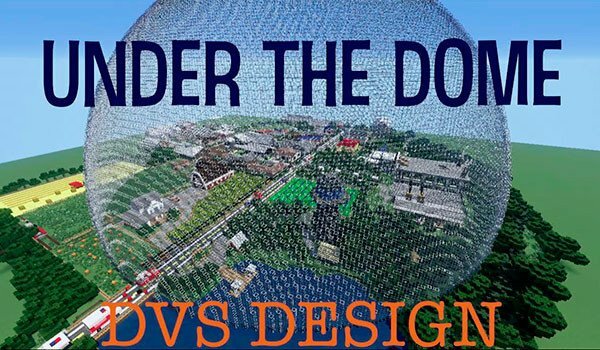 A cubic version of the TV series “Under the Dome” , comes to Minecraft. Under the Dome 1.8 is a map based on the television series “Under the Dome”. For those who do not know, is based on the story of a town that is contained from one day to the other in a huge dome that isolates the people around the world. The history moves Minecraft worlds. We will unravel the mystery surrounding the fall of the dome on Chester Mill (the people) and of course find the way out of the dome. How to install Under the Dome Map for Minecraft 1.8? ¡Unravel the mystery and escape the dome!